We all took the float plane to Nanaimo and spent two days on Ancient Murrelet at Newcastle Island. The weather continues to be hot and sunny, and we had great fun. 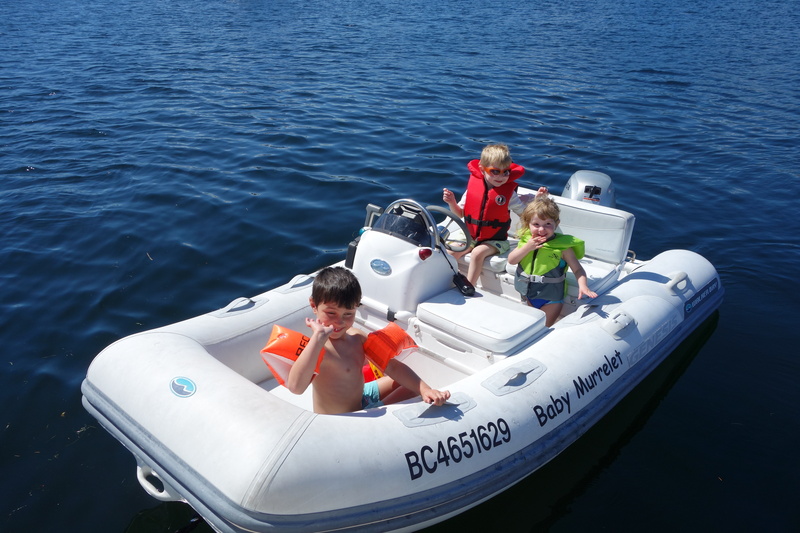 The kids liked the jacuzzi on the boat and the dinghy best.